When you come to Dave’s Signs, you receive professional sign services for all of your signage needs including nationwide store signs. We’ll take care of your Southern California businesses and all the others across the country. This provides a sense of uniformity while giving each business their own individuality. Here are four things we can help you with that can make your signs more effective. Your sign professionals at Dave’s Signs can give your signage 24-hour exposure. They take into consideration, your location, customers, and business type, to give you the most effective signage for the daytime and nighttime hours. Would you like to dare to be different but you aren’t sure what to do? We can help you harness the hidden power of individuality while still keeping a professional appearance. Look at the bold image for UNTUCKit shirts. There are no words or letters. However, there is man projecting a casual yet sophisticated image, and these kinds of nationwide store signs show the clothing well and communicate with their customers. Why say many things when you don’t have to? There is beauty in simplicity, and this interior signage is simple, but it’s a perfect fit for its environment. Notice how everything balances out. 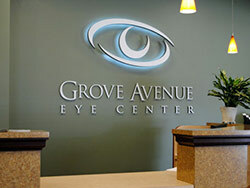 When your indoor signage blends in perfectly, it extends your brand without having to say much at all. When you own franchises, you need consistent nationwide store signs. However, this doesn’t mean they have to all be “carbon copies” of each other. At Dave’s Signs, we have the expertise to design and create the perfect signs for each of your business locations. Call us at (805) 641-1387 today, to discover the many benefits of working with top nationwide sign professionals.